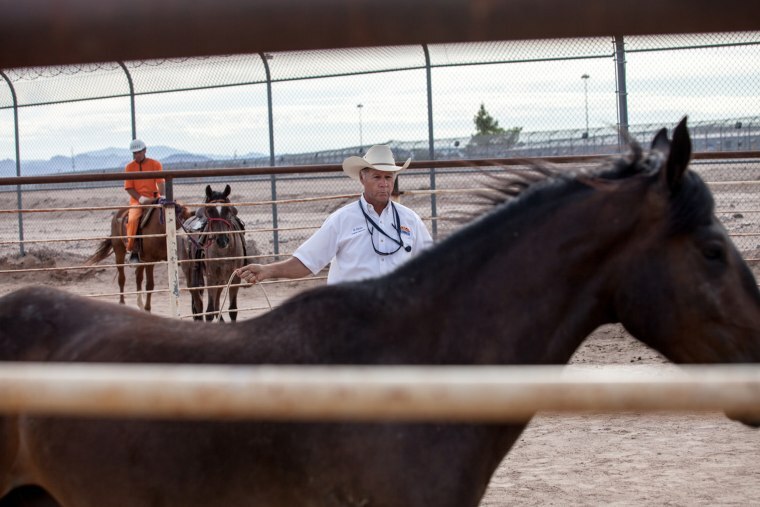 A program training wild horses has given inmates in Arizona new faith in themselves. 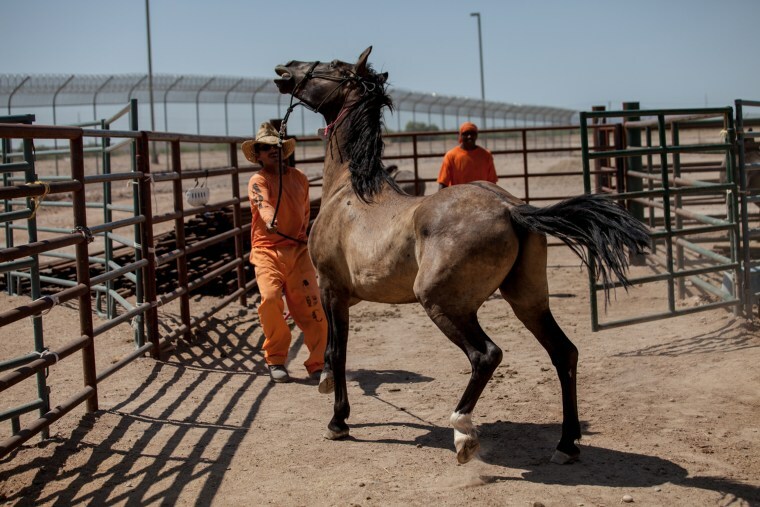 Randy Helm, a narcotics detective turned horse trainer, shows inmates how to break wild mustangs behind the walls of the Arizona State Prison Complex in Florence, Ariz.
Robbie Hauck, 27, who is in prison for a drug offense, sits atop the horse he was assigned to by Randy Helm. 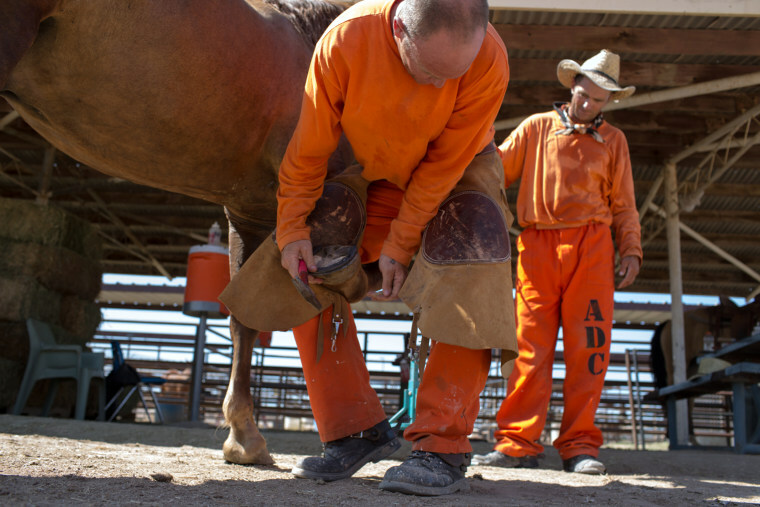 Each inmate works with a specific horse for a period of time. Brian Tierce, 48, trains with a horse. Tierce was convicted of assault in 2011. 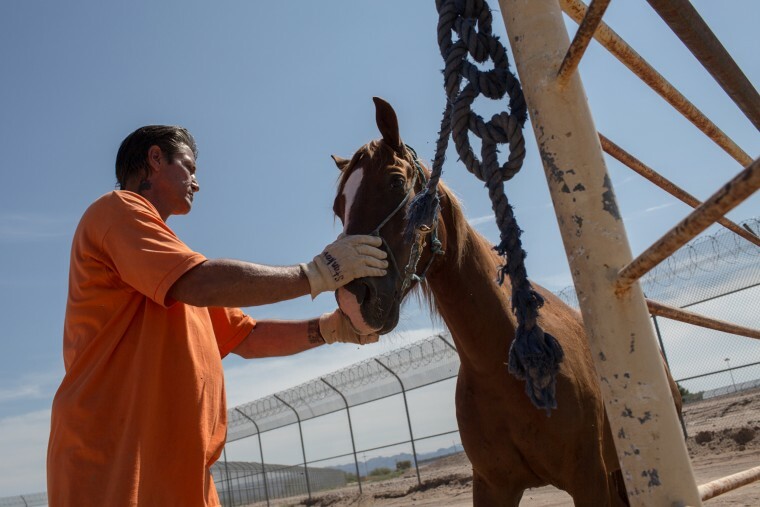 Inmates try calm a new horse in the stables of the Arizona State Prison Complex, in Florence. Most of the horses that are brought to the program have very little contact with humans and have never worn a bridle or saddle. 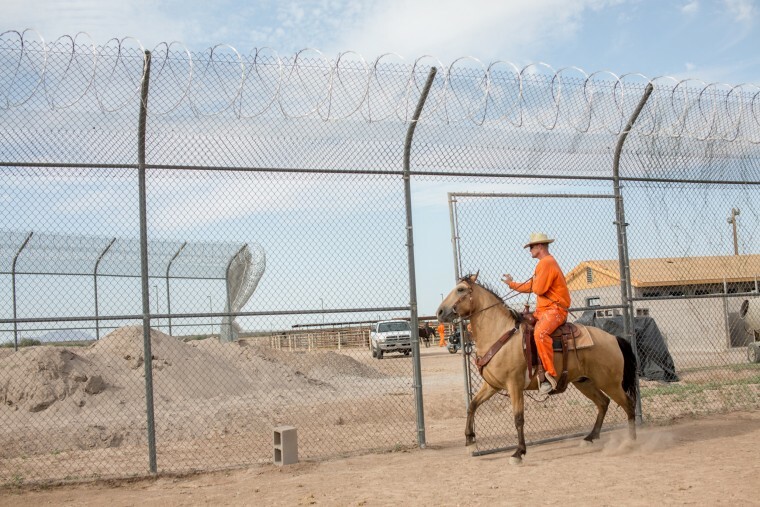 Shawn McCall, 39, in prison for theft and forgery, takes a horse out to the larger obstacle course for more advanced training. 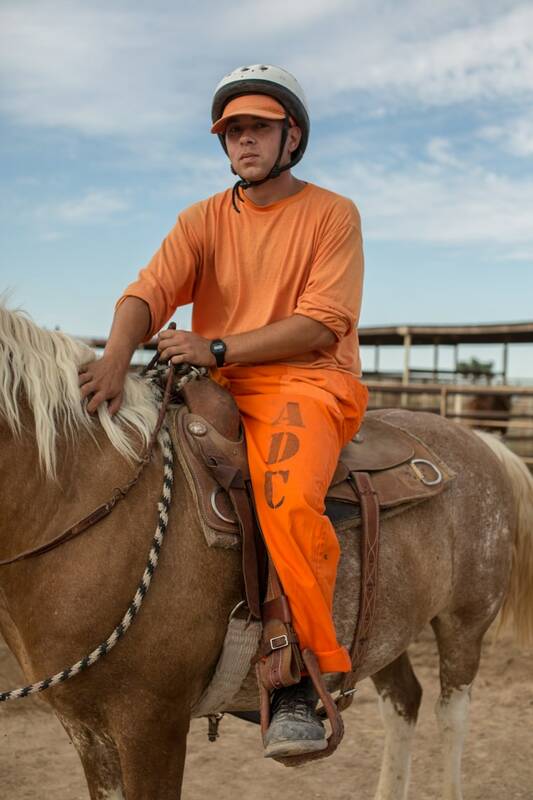 McCall grew up in a ranching family and is one of the few inmates in the program with prior horse training experience. 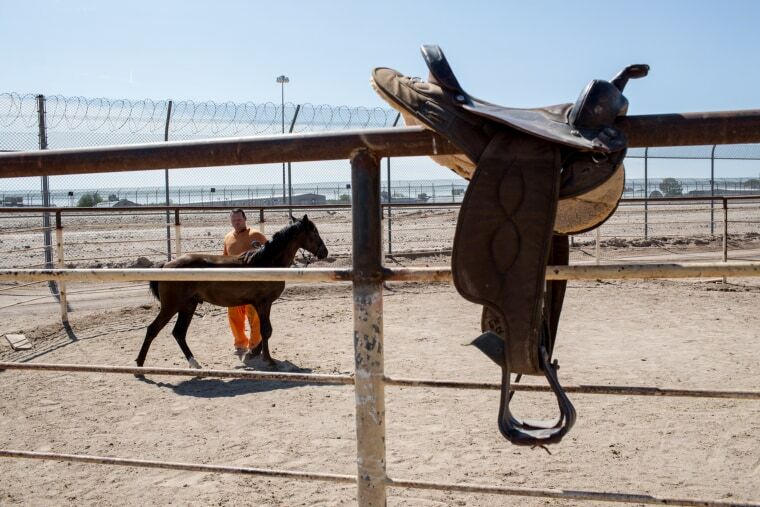 Shawn McCall shoes a horse at the stables in the Arizona State Prison Complex. 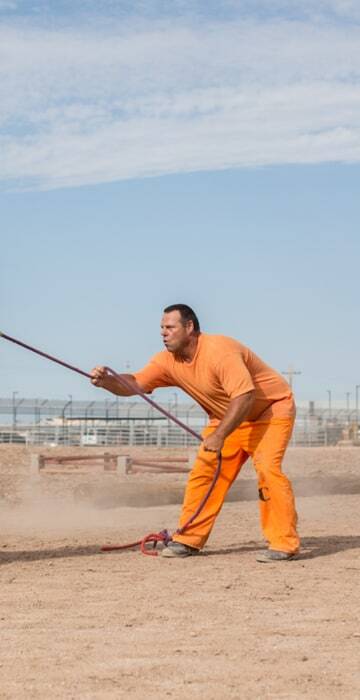 Johnny Stankovic, 50, practices the "Low Resistance" style of training taught in the ACI Prison Horse program. 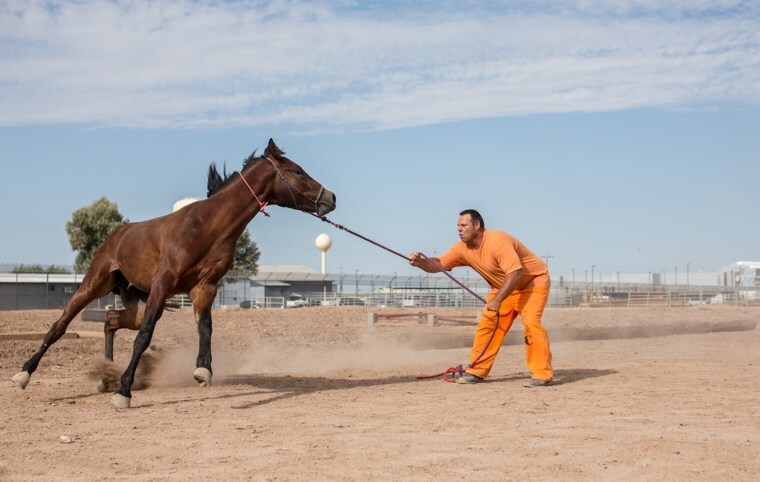 Trainers use slow movements and stay close to the horse to allow the animal to become accustomed to humans. 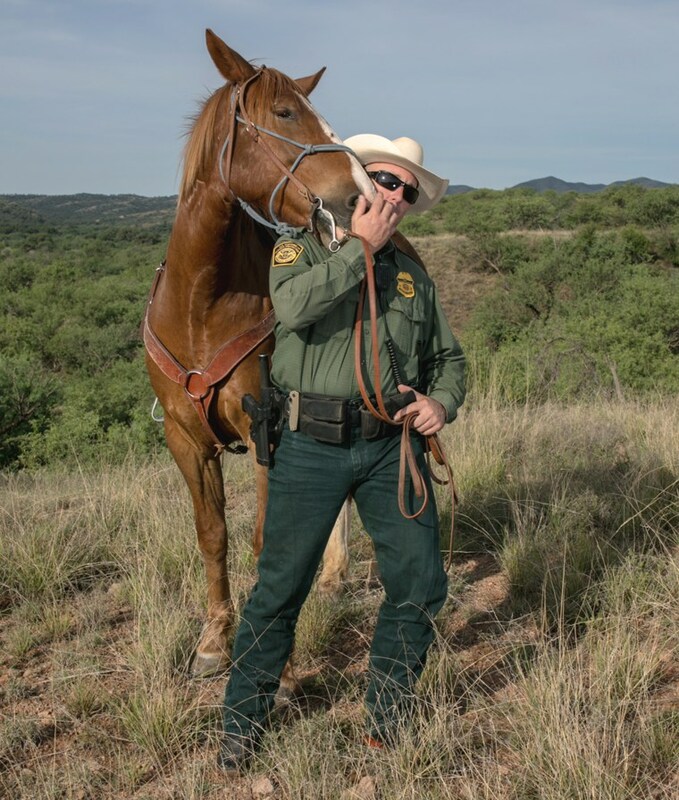 Tim Cameron, a 5 year veteran of the Border Patrol, with his wild horse Gus. 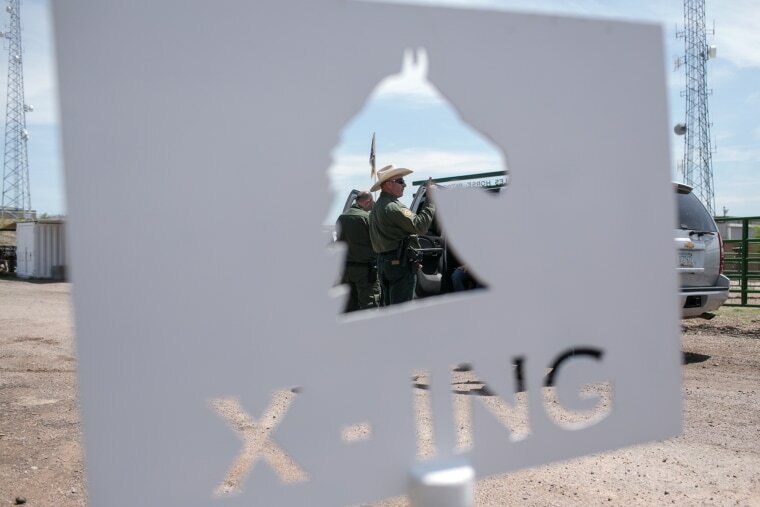 Agent Tim Cameron is seen through a sign after his mounted patrol at the Border Patrol stables in Nogales, Ariz.